We started coverage of Amazon with a price target of $2200. Amazon reported good results for Q2 2018 and more importantly Q3 2018 guidance is driven by the fast growing and high margin Amazon Web Services which at the moment only accounts for 10% of net sales. Amazon Web Services (AWS) - AWS offers a broad set of global cloud-based products including compute, storage, databases, analytics, networking, mobile, developer tools, management tools, IoT, security and enterprise applications. We believe the company has much further room to grow in this business segment which at the moment only contributed 10% of overall net sales. AWS is the leader in the public cloud with a circa 75% US market share. eCommerce – Amazon is the largest Internet retailer in the world as measured by revenue and market capitalization. Our $2,200 is based on our sum-of-the-parts analysis. 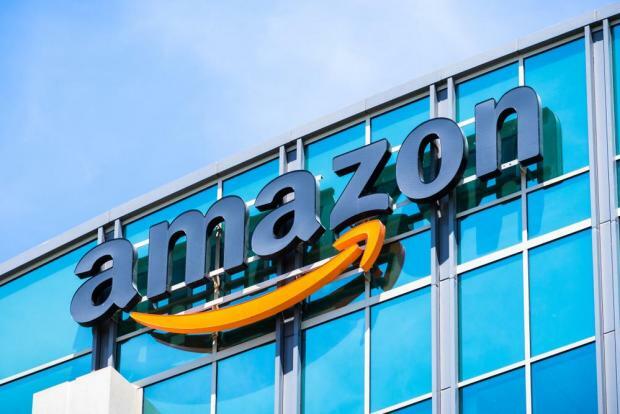 We believe this methodology appropriately attributes value to the company’s large, fast-growing, and profitable AWS segment, in which Amazon continues to invest. E-commerce – We applied a 1.5x multiple on 2019E Gross Mercandise Value (GMV) of $449B, which we believe is justified as large retailer peer Walmart trades at circa 0.6x GMV and as Amazon has a meaningfully higher growth profile. AWS – We applied an 18x multiple on our 2020E AWS EBITDA of $23B, which is in-line with other Software-as-a-Service (SaaS) companies. We then reduced debt of €23.1bln and added back cash of €60.7bln before we divided by the number of shares outstanding to get our price target of $2200. What is gross merchandise value (GMV)? Gross merchandise value is one element of an e-commerce site's performance because the revenue of the business will be a function of gross merchandise sold and fees charged. Amazon is the leader in consumer internet & enterprise (e-commerce, cloud etc. ), and continues to expand its business through strong execution. Given our positive outlook for global growth, we expect Amazon to continue to outperform its peers in the near and medium term.